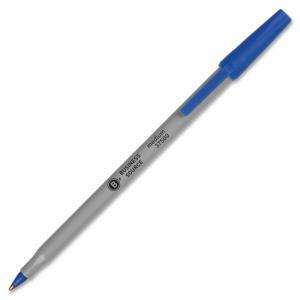 These ballpoint stick pens deliver smooth writing at an economical price. Feature medium points, tungsten carbide balls in brass cones. End plugs and molded plastic caps with pocket clips match ink color. Clips attach to notebooks, pockets and files.